When it comes to traveling throughout Japan as quickly as possible, Shikansen or airplane are the most useful transportation methods in Japan. 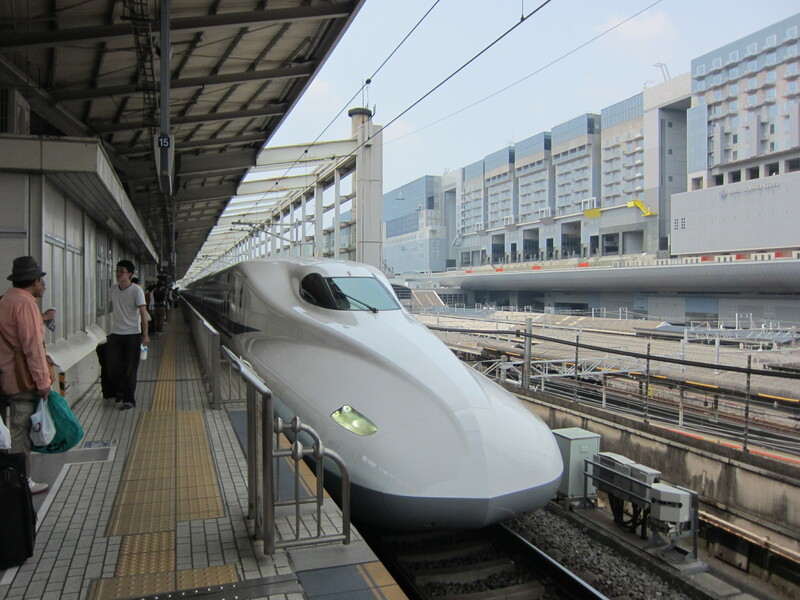 Shinkansen can be the best option, taking the time to get to the airports and price into consideration. Below is the Shinkansen railroad map. The price information for some popular routes are listed on the map. Although the price seems to be high, foreign tourists are eligible to purchase the exceptional deal called Japan Rail Pass. So if visiting a couple of cities is part of your plan, be sure to check this deal out here. The Japan Rail Pass can’t be purchased in Japan. First, find a local store which sells the Exchange Order (click here to find the shop). Then go to the JR ticket offices at JR stations (most large stations and airports with a ticket office) and exchange the Exchange Order for a Japan Rail Pass. Basically a passenger with a Japan Rail Pass can take almost every JR train including express trains and local JR buses (long distance buses are NOT included). A Japan Rail Pass holder is required to show the pass to a JR clerk at each ticket gate. The same thing applies at the station the passenger gets off. In case of using Shinkansens/express trains, make a reservation at a ticket office (not at a ticket machine). It is free and there is no reason not to use it. Some clerks might not be able to speak English, so writing all the information needed (name of the train, destination, number of people (number of kids), departure time) to make a reservation and showing it to the clerk can be easier. There are a few exceptions (such as Nozomi and Mizuho Shinkansens can’t be used). So read the official site very carefully.